As The Daily Show pointed out in Thursday night’s edition, Congress is capable of reacting quickly when it comes to issues they really care about. Three weeks after the disturbing video of a United passenger who got dragged off a flight—or as Noah described in this segment, “found himself in a surprise boxing match”—representatives from four major airline carriers testified before the House Transportation Committee about booking policies. 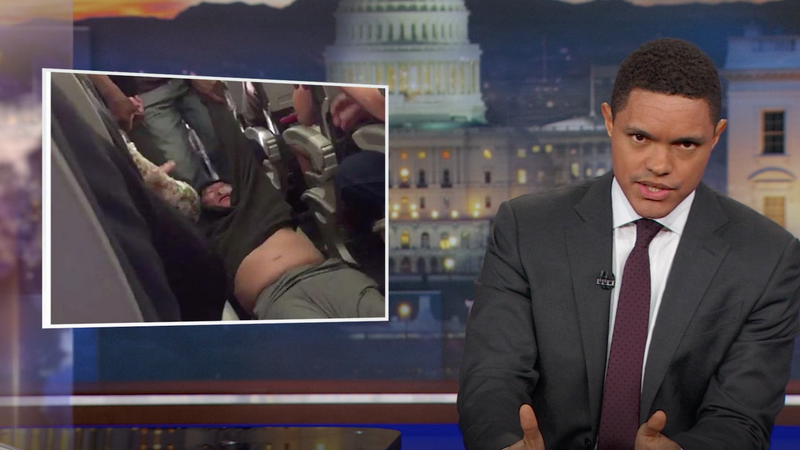 The segment shows footage of Congress members at the hearing earlier this week, complaining about everything but the violent United incident and instead, delayed flights, baggage fees and poor legroom on flights. “I can’t even sit up straight in the seat. I have to stick my legs out in the aisle,” says Republican John Katko. What a travesty!